Over the years, we have attempted to advise the muggle world on what to get us geeks for Giftsmas. We’re switching it up a little this go around. We want to help YOU, our beautiful nerd followers, decide what to get the lovely laymans in your life. Be it family, friends or your boo – these presents are enjoyably accessible and may even bring them closer to the dark side. So, let’s get this party started, eh? V. has a penchant for philosophy (as in, she got a degree in it) and her favorite philosopher of yore is Bertrand Russell. There just so happens to be a comic for that. It could also be the graphic novel that your non-fiction loving Dad will dive right into, and then might be all, “Comics are awesome!” And that… would be awesome. Faith Erin Hicks writes and draws a charming, honest story complete with ninjas, cats and one really real girl. Maybe your daughter thinks comics are lame and wants nothing to do with them. Maybe she likes them and needs something new to read. Either way – she’ll like this. It’s really hard not to. Surely, there is someone in your life who really loves the Beatles. And if you love this person, you will go out today and get him or her a copy of Vivek J. Tiwary and Andrew Robinson’s breathtaking “The Fifth Beatle: The Brian Epstein Story.” I’ve gone on (and on) about this graphic novel on the Sidebar Nation podcast and Newsarama, and I’ll say it again: This book is glorious. 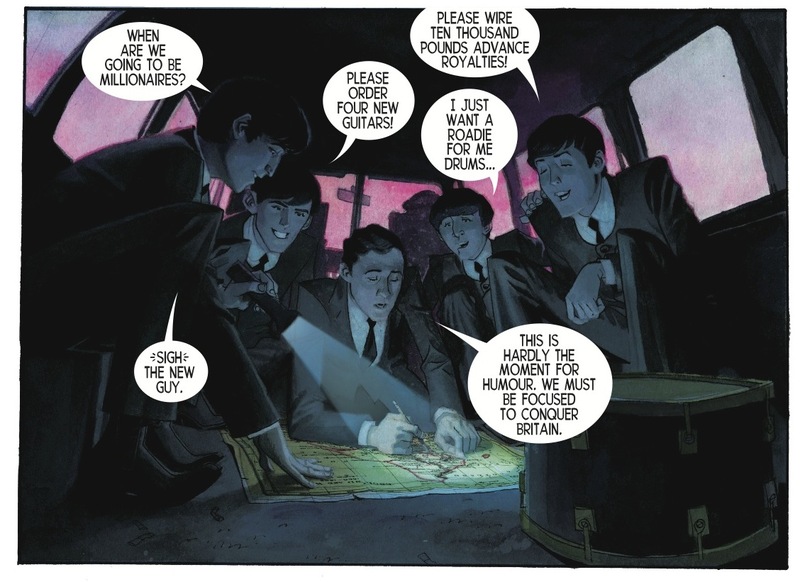 Brian Epstein, the Beatles’ manager, transformed the band’s image into an iconic one and played a pivotal role in helping John, Paul George and Ringo conquer the world. He was also gay and closeted at a time when homosexual activity in England was illegal. Epstein’s short, extraordinary life gets the rock star treatment it deserves from Tiwary and Robinson, whose artistry here is off the freakin’ charts. Ellen Forney’s graphic memoir, “Marbles: Mania, Depression, Michelangelo and Me,” is a highly insightful read about a topic that affects millions of people with mood disorders and those who care for them. Central to “Marbles” is the examination of the “crazy” artist and the relationship between mood disorders and creativity. 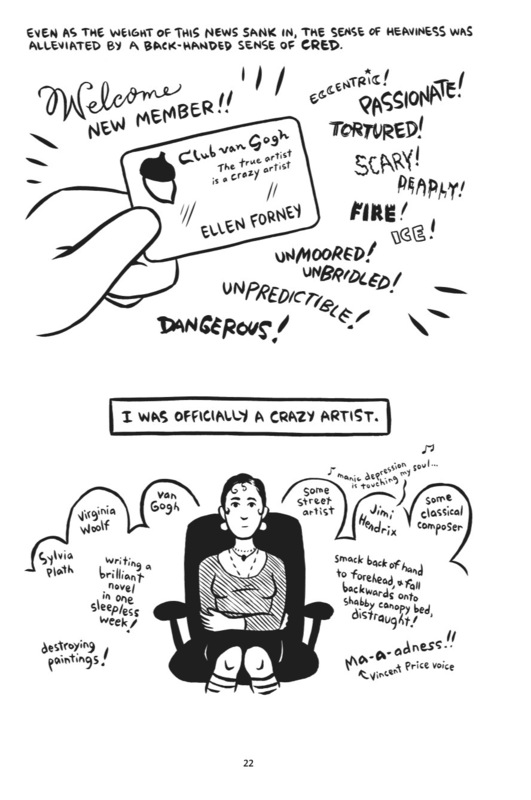 With her life unraveling, Forney has to face the fear that medication will take away the artist identity she holds dear. I’m in favor of anything that chips away at the stigma of mental illness, and Forney’s story of coming to terms with hers is riveting and ultimately quite hopeful. Nothing cuts through holiday tension like everyone sitting down to a nice, friendly game. Turn the feel-good dial up to 11 with any of these great time-wasters. Cards Against Humanity is a wonderful gift idea sure to create many an awkward conversation between you and your parents. Forming secret alliances and back-stabbing friends are what the holidays are all about, right? Continue the tradition with World of Munchkin. For more of a personal touch, I invite you to do as I have done in the past (to great success) and purchase a deck of Uno cards. Now take half of them and write arbitrary rules on them. The person that draws the card while playing must obey the rule. This technique also works well with Jenga, etc. What is it about the holidays that makes the idea of a stiff drink seems infinitely more pleasurable than basically any other activity involving your family? That was a rhetorical question. Help your enraged loved ones wind down after another embarrassing loss of Trivial Pursuit: Harry Potter with any of these G3-approved drinking supplies. Mugs are great vessels for hiding wine in. Because they’re going to need something special to drink out of when Game of Thrones starts again in March. 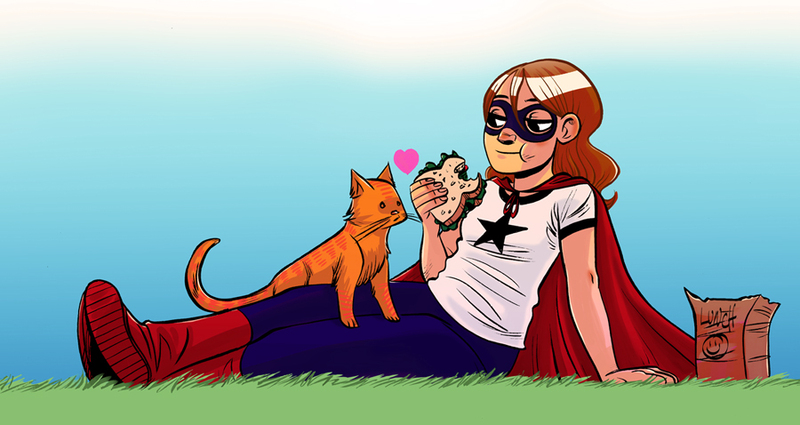 Superhero Girl is a way nifty comic! Love it! And I have never played Uno before in all of my days, so it would be good to give and partake. I love Cards Against Humanity! I have heard of almost none of these comics. *covers face in shame* I guess I’ll have to check them out. We’re here to help! What do you guys want … for yourselves?